As used on many but not all VW Mk2 Golf models so check first. 1 X Front windscreen Washer Jet. Brushes Rear Wipers for TOYOTA YARIS Japanese Version years 1999 -2005 Arm Blade 1xBrushes Rear Wipers Arm blade for TOYOTA YARIS Japanese Version FF08;years 1999 -2005 FF09 Brand Unbranded MPN Does not apply UPC 4894462401545 EAN 4894462401545 ISBN 4894462401545 Manufacturer Part Number Does not apply. FIAT ULYSSE. CITROEN C8. PEUGEOT 807. Item: rear wiper arm with blade. Length wiper blade: 350 mm. To other countries we can also send, but this costs will be different and to avoid misunderstandings You should ask about them before You buy. For Citroen C3 MK 1 Hatch. For Peugeot 306. 1 X Rear Wiper Arm. 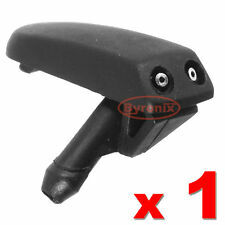 Quantity: 1 pc Rear Arm. Rear Arm length: approx. 35 cm / 13.7”. (Q5：2009--2012. So you'd know the policy about your country. We will handle that ASAP. engine code. VIN, we will check ). Need to confirm situations . RENAULT KANGOO TRAFIC LAGUNA II / VAUXHALL VIVARO. FRONT WINDSCREEN NOZZLE WASHER JET. COLOUR IS BLACK. Our Part Number : BR 122. FITS BOTH SIDE. For Nissan Qashqai 07 . For Nissan Micra 05 - 10. 1 X Windscreen Wiper Blade. Quantity:1 pc Wiper Blade. Wiper Blade length: approx. 31 cm / 12.2”. If your are not sure if this is the correct part. Part is provided in box. Wiper Linkage Repair Clip Size: 3.2cm x 2.2cm x 1.3cm 100% Brand new, high quality and durable. Stop your linkage popping off, restoring your wipers to full health Material: Steel Easy to fit. Fits all linkages with a ball joint of 14mm diameter or less with a 9.5mm or less recess below the ball for the linkage to operate. Fast Dispatch - Free Uk Delivery. ForPeu geot 206 1998 . ForPeu geot 106 1999 - 2004. 1 X Rear Wiper Arm. Quantity: 1 pc Rear Arm. Rear Arm length: approx. 35 cm / 13.7”. Brand KOVO Warranty 1 year MPN 98672-C5000,98671-C5000 Manufacturer Part Number 98671 C5000,98671C5000,98672 C5000,98672C5000. Fiat Ducato III. Citroen Jumper III. Peugeot Boxer III. Front Wiper Motor. Quantity:1X Front Wiper Motor. Only for Left Hand Drive vehicle. Easy to install, Especially designed fit for Nissan Qashqai 2017-2018. 1 Windscreen Cap. OE number for reference: 28913JD00A. Material: ABS. If your Renault Clio Mk2 1998-2005 or Clio Campus windscreen wiper motor linkage is worn and popping off this will prevent it. The Repair Plate can be fitted it in minutes, it just slides over the joint and is secured using the supplied 5mm bolt, the hole is already drilled in your linkage. Fitting Instructions https://youtu.be/iirmgj92nfg. Reference OE/OEM Number: 4F9955711 4F9955711A 4F9955711B 579602. Manufacturer Part Number: 4F9955711 4F9955711A 4F9955711B 579602. AUDI A6 4F5, C6 [2005-2011] ESTATE. AUDI A4 8K5, B8 [2007-2015] ESTATE. 1x Aero Flat Windscreen Wiper Blade. IT ONLY FIT THE TRADITIONAL WIPER ARM WITH HOOK ON THE END . REDUCED AERODYNAMIC NOISE -3db COMPARED TO A STANDARD BLADE. We have all sizes (14"-26") wiper blades for most makes! Brand new. For VW T5 Transporter 2003 - 2013 (UK Right Hand Drive). Flat aerodynamic blade ensures even pressure to reduce smears. Easy to install and good elastic extension, which can prolong the life of the blade. Material Soft rubber Driver Side Blade 24 Inch Passenger Side Blade 24 Inch Placement on Vehicle Front Brand Unbranded/Generic MPN BL657472275445 Manufacturer Part Number Does not apply EAN 0762876569165. Car: NISSAN TIIDA ( hatchback ). Item: rear wiper arm with blade. Length wiper blade: 350 mm. version without washer. Production year: models produced from 2006. To other countries we can also send, but this costs will be different and to avoid misunderstandings You should ask about them before You buy. BMW 5 & 6 SERIES DRIVERS WINDSCREEN WIPER ARM LINKAGE. However, you may want to use a centre punch to re-create a holding lip or drill the pivot shaft (pictures 5-8). If you are going to drill a hole through the centre of the pivot shaft, a normal high speed (HS) drill bit will probably NOT do the job. 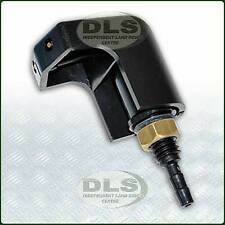 This item fully fits with VW POLO , GOLF , Touran . 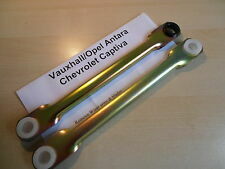 A perfect replacement for your old Aero Rear Wiper Arm & Blade of car . Length of Arm:30cm/11.8" Length of Blade:40.5cm/15. 100% Brand New. Suitable for: Mercedes A Class MK2 (W169) 2005-2012 Blade Length: 310mm Arm length: 355mm Please read all the information before purchase Arm length 355mm Material ABS & Rubber Country/Region of Manufacture Hong Kong Blade Length 300mm Classic Car Part Yes Placement on Vehicle Rear Brand Unbranded/Generic MPN Does not apply Manufacturer Part Number Does not apply EAN 0702921738849. ONLY FOR VEHICLES WITH A HOOK CONNECTOR! Lakshmi wipe with 3 components rubber Wiper Blade. Easy Assembly with hook fastening. Perfect wiping performance at any point on the disc by Evodium spring notes. OE Ref number : 6438AV. Producer: Peugeot OE. Genuine Washer Jet.